Portrait of Mary Boykin Chesnut, whose diaries give an intimate personal account of the Civil War seen by a member of the Confederate elite. Courtesy of the South Caroliniana Library. With that entry, Mary Boykin Chesnut began her diary, chronicling the momentous four years that encompassed the American Civil War. Chesnut’s diary is one of the most significant and intimate sources for understanding the Southern Confederacy. Chesnut and her husband, James Chesnut Jr., moved within the highest circles of the Confederate government and Southern society. Her entries, candid, caustic, and at times, sarcastic, demonstrate how women’s roles evolved and how social class and status remained a defining feature in the Confederate nation, even after the war destroyed their wealth and privilege. Mary Boykin Miller was born in Statesburg, South Carolina, in late March of 1823. Her mother came from a wealthy South Carolina family, the Boykins, while her father, Samuel Decatur Miller, was of yeoman roots. However, her father rose to prominence in South Carolina politics, serving as governor, U.S. congressman, and senator. Perhaps because of that, Chesnut received a classical education, first in Camden and then in Charleston at the prestigious Madame Talvande’s boarding school. While at Madame Talvande’s, Mary met James Chesnut Jr., who was considerably older. Chesnut’s parents finally relented to the courtship and they were married in April 1840. It was then her adventures in politics on the state, national, and Confederate level began. 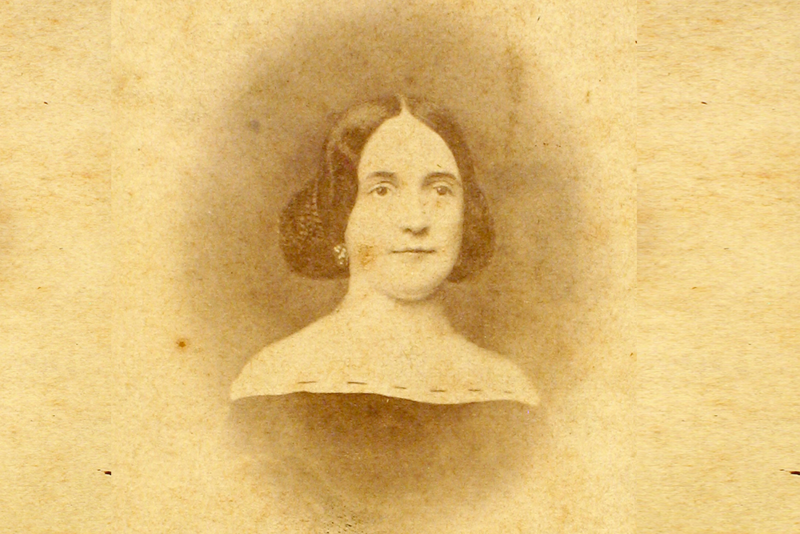 In February of 1861, Chesnut recorded her feelings regarding the secession crisis: “My father was a South Carolina Nullifier… so I was of necessity a rebel born.” She went on to note, “I remember feeling a nervous dread & horror of this break with so great a power as U.S.A. but was ready and willing.” Little could she know how the “power” of the Union would shatter her world. Perhaps the most significant parts of the diary are Chesnut’s musings while she and her husband resided in the Confederate capital at Richmond, from June to December 1861 and from late December 1862 until March 1864. Upon her arrival, Chesnut sought out the head of the Richmond Hospital Association to offer her services as a nurse. This in itself was important, because at the time, nursing in the South was regarded as suitable only for lower-class men. To expose 19th-century Southern women, especially elite women, to sick, wounded, and maimed men was decidedly unusual. Chesnut toured the various Richmond hospitals in the aftermath of the Battle of First Manassas and was shocked by what she saw: “Then we went to the St. Charles. Horrors upon horrors…. Long rows of them dead, dying. Awful smells, awful sights.” Chesnut began “making arrangements with the nurse…. I do not remember any more for I fainted. Next thing that I knew of, the doctor and Mrs. Randolph were having me, limp rag, put into a carriage….” Throughout the war, Chesnut would do her share of nursing, but she never became accustomed to the “awful smells, [and] awful sights” that she witnessed. In many ways, the war frustrated Chesnut. Often in her diary, she lashed out against her gender and her inability to serve in the army. In late August of 1861 she wrote, “I think these times make all women feel their humiliation in the affairs of the world. With men it is on to the field—‘glory, honour, praise, &c power.’ Women can only stay at home—& every paper reminds us that women are to be violated—ravished & all manner of humiliation. How are the daughters of Eve punished.” On another occasion, Chesnut wrote that if she were a man, she would have pursued a battlefield commission: “I should have either been killed at once or made a name & done some good for my country. Lord Nelson’s motto would have been mine: Victory—or Westminster Abbey”—a reference to the great London church where many of Britain’s military heroes are entombed. Chesnut was intelligent, educated, and ambitious, but she chafed at her subordinate status in Southern society. Nonetheless, the war years marked a watershed of sorts for women. Because the men were off fighting, women in the Confederacy were forced to assume roles heretofore unheard of for their gender. They managed farms and plantations, worked in every government bureau, became nurses and labored in Confederate factories. But in all these positions, social class played a prominent role. Only women who were literate could work in a government bureau, for they were required to take tests in grammar, spelling, and basic mathematics. Poor and illiterate women were relegated to dangerous jobs in munitions factories or to sewing uniforms at home or in the Quartermaster Bureau. Another way in which class distinctions dominated during the war was in accommodations. When James was made an aide to President Jefferson Davis, Mary Chesnut sought out lodgings in Richmond. Accustomed to the grandeur of the Chesnuts’ Mulberry plantation, Chesnut was not happy to live in a boarding house run by “some ‘decayed ladies’, forced by trouble, loss of property, &c to receive boarders.” According to Chesnut, “A dreadful refuge of the distressed it was. The house was comfortable and the table good,” Chesnut admitted. But it rankled her that “you paid the most extravagant price, and you were forced to assume the patient humility of a poor relation. Indeed, by 1863 Richmond’s population had grown from 38,000 in 1860 to more than 100,000. Most of the new arrivals were refugees fleeing from Union incursions. Ultimately, Chesnut would find a house near the White House of the Confederacy on East Clay Street. But that was unusual: Most newcomers were forced to wander the streets, seeking accommodations, or were compelled to lodge with other families because housing was so scarce. Equally troubling was the shortage of food in the capital city. Bad weather and government policies such as impressing agricultural goods to feed the armies and forcing farmers to pay a 10 percent tax in kind on produce and livestock discouraged farmers from bringing their goods to market. Too, the Confederate government set prices 50 percent below what the market would bear, which created a disincentive for farmers to bring their goods to Richmond’s markets. The situation became so desperate that a group of working-class women met April 1, 1863, and resolved to seek aid from Virginia’s governor. On April 2, 1863, these women marched to the Governor’s Mansion. Not getting any satisfaction, the mob, variously estimated to be anywhere from 500 to 5,000, proceeded to loot stores, seizing food, clothing and other goods in the so-called Richmond Bread Riot. Curiously, though she lived near the business district and could undoubtedly see and hear the commotion, Chesnut did not remark upon the violence in her diary. Instead, she noted that although “Turkeys were thirty dollars apiece,” James’s slave, Laurence, “kept us plentifully supplied.” While others in Richmond realized the Christmas holidays were going to be Spartan, Chesnut recorded that for their dinner, “We had… oyster soup, soup a la reine…. Besides boiled mutton, ham, boned turkey, wild ducks, partridges, plum pudding. Sauterne, burgundy, sherry, and Madeira wine.” Even though many civilians would go hungry and Confederate soldiers were on short rations, Chesunt and her family were happily sated. As a government aide, James could shop at the local commissary, and there are numerous references in the diary to boxes sent from Mulberry plantation that contained all sorts of foods and wines. And given Laurence’s declaration that if they paid him, he would find food, he probably took advantage of the black market. 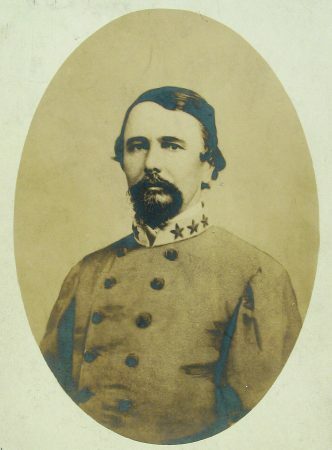 Portrait of James Chesnut Jr., husband of Mary Boykin Chesnut. Courtesy of the South Caroliniana Library. James Chesnut frowned upon Mary’s proclivity for dining well and entertaining. Consequently, Chesnut would wait until President Davis sent James on a trip to assess the army in the western theater of the war. When he would arrive home unexpectedly, he would usually find “the party in full blast.” After the guests left, he “laid down the law.” “’No more parties, he said. “The country is in danger. There is too much levity here.’” The war was going badly for the Confederacy and there was real fear of famine in Richmond, but for a member of the Confederate elite, Chesnut never felt want. All that came to an end when James’s mother passed away and he felt the need to return to South Carolina with his wife. But their journey placed them squarely in the track of Union General William Tecumseh Sherman as he swung north after his “March to the Sea,” laying waste to everything in his path. James insisted Mary leave Mulberry. For the first time, she became a victim of war, a refugee. Yet for all her sense of noblesse oblige, Chesnut was chastened when she and James returned home and found their former world destroyed. “When we crossed the [Wateree] river, coming home, the ferryman at Chesnut’s Ferry asked for his fee. Among us all, we could not muster the small silver coin he demanded. There was poverty for you.” Mulberry plantation was still standing, but the house had been badly damaged by the Union Army and the interior had been ransacked. Even worse, James’s father had invested his entire fortune in worthless Confederate bonds. Penniless, Chesnut supported James and the other relatives who came to Mulberry to live with them after the war. Once one of the wealthiest women in South Carolina, she was reduced to going into business with Molly, formerly her enslaved servant. With a rescued cow and some chickens, Chesnut sold sell butter and eggs to her neighbors and supported her family on $140 a year. Chesnut spent most of the 1880s revising her diaries and taking care of her mother and her husband. She died in 1886 and was buried next to James. But her diaries, edited by a friend and later, by a novelist were substantively rewritten from the original journals. Eminent Southern historian C. Vann Woodward meticulously went through the original journals and published the most accurate edition of Chesnut’s diary in 1981. That edition presents us with an unvarnished and detailed look at the life and death of a planter class that went to war to preserve their privileged way of life based on slavery. 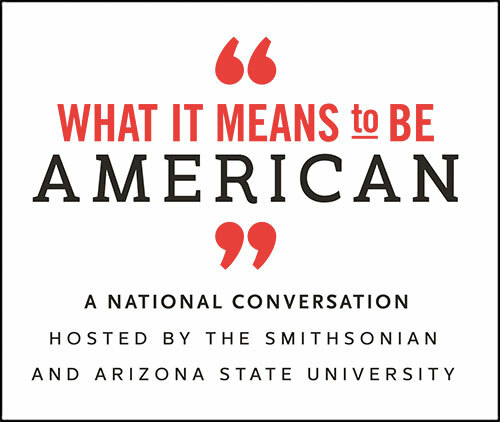 Mary DeCredico is a professor of history at the U.S. Naval Academy. She is the author of Mary Boykin Chesnut: A Confederate Woman’s Life.